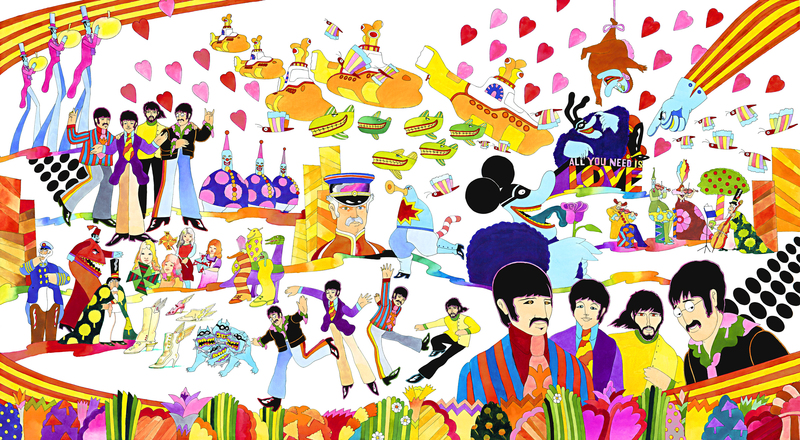 For three days this weekend, September 23-25, 2016, famed animator Ron Campbell will be exhibiting his artwork of the Beatles at ArtInsights at Reston Town Center. This is a rare and exciting personal appearance by this artist, and it’s definitely something you should check out if you love the Beatles, classic cartoons, or pop art. Ron Campbell is an animator and director best known for his work on the popular 1960s Saturday morning cartoon The Beatles and the animated feature film Yellow Submarine. He later went on to contribute to many other beloved children’s television programs, such as Scooby Doo, Winnie The Pooh, Krazy Kat, George of the Jungle, The Jetsons, The Flintstones, the Smurfs, Goof Troop, Rugrats, Ed, Edd & Eddy and dozens more. During his 50-year career, Ron Campbell’s studio was awarded a Peabody and an Emmy for his work in children’s television. Now he has retired and shows his Cartoon Art Show collection in galleries worldwide, with a particular emphasis on Beatles art. 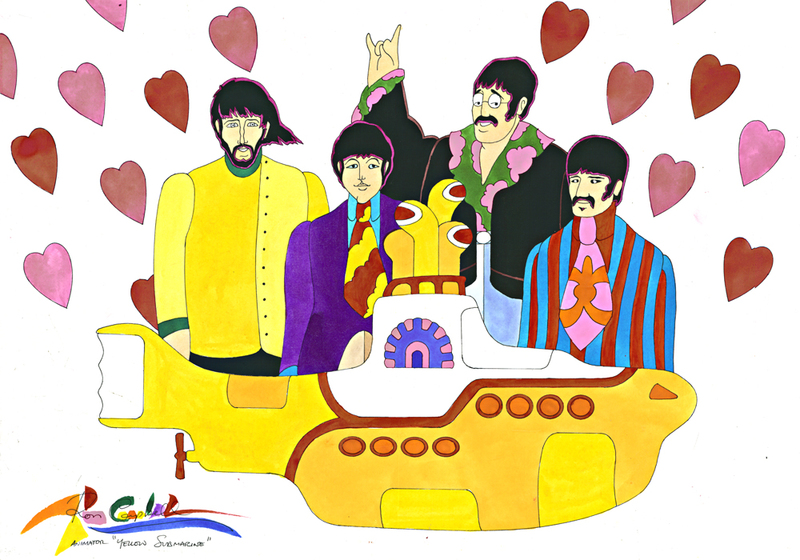 Ron will showcase several of his original Beatles cartoon paintings created specially for the show, and he’ll create new Beatles pop art paintings at the exhibit. He will also exhibit his original artwork from many other children’s cartoons, such as Smurfs, Winnie the Pooh, Flintstones, Jetsons, Scooby Doo, and Teenage Mutant Ninja Turtles. All works are available for purchase. ArtInsights Animation & Film Gallery is located at 11921 Freedom Drive in Reston Town Center.